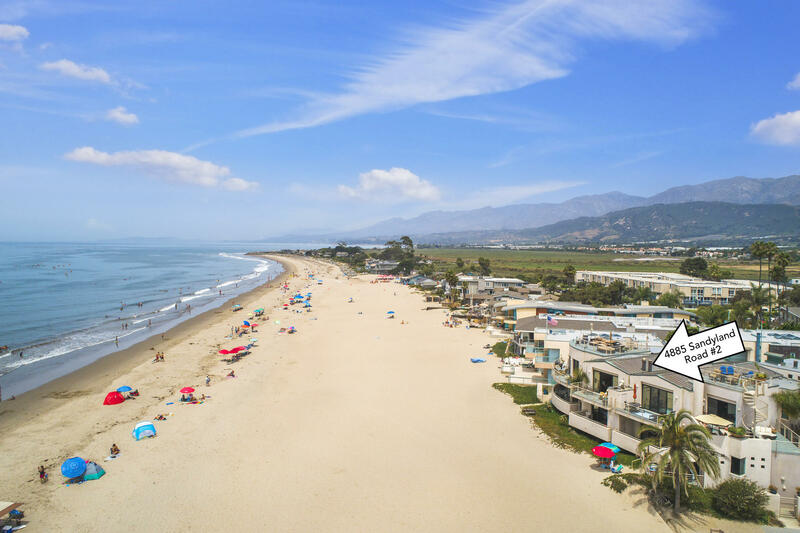 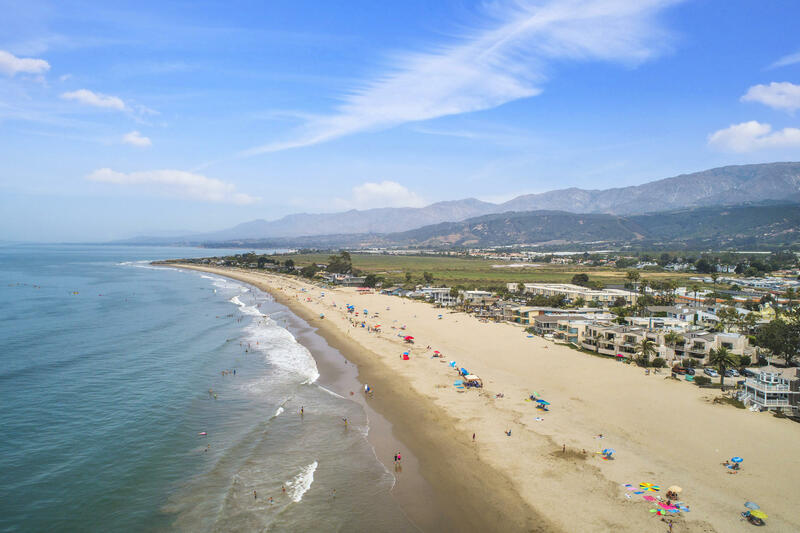 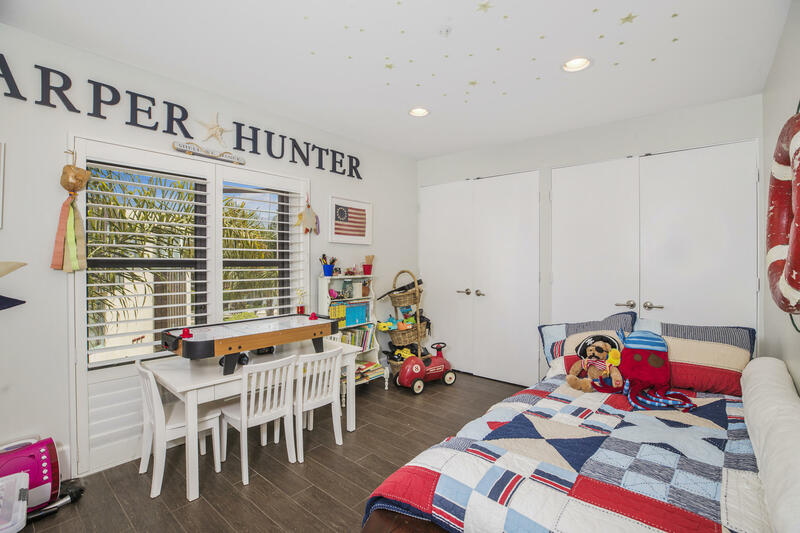 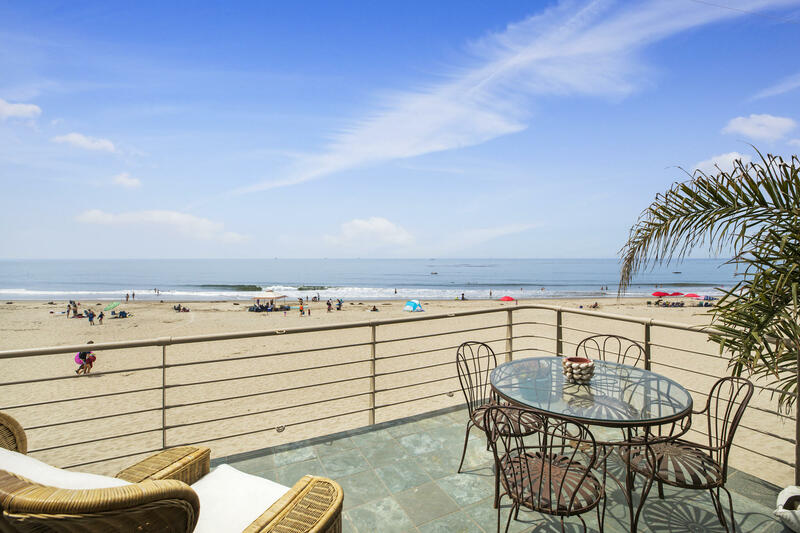 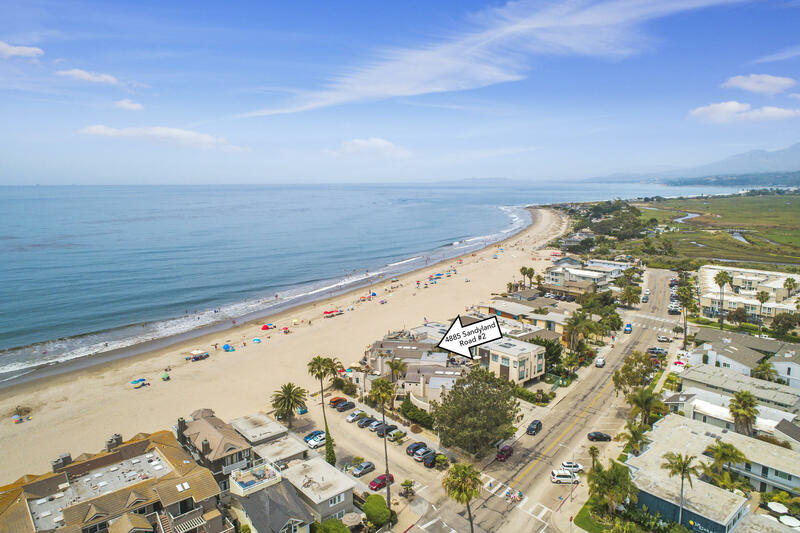 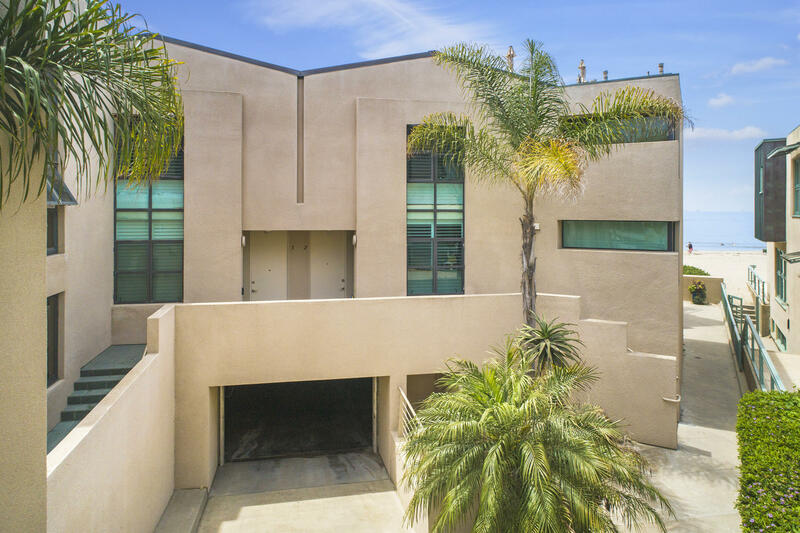 Rare opportunity to own on this premier beachfront location in Carpinteria. 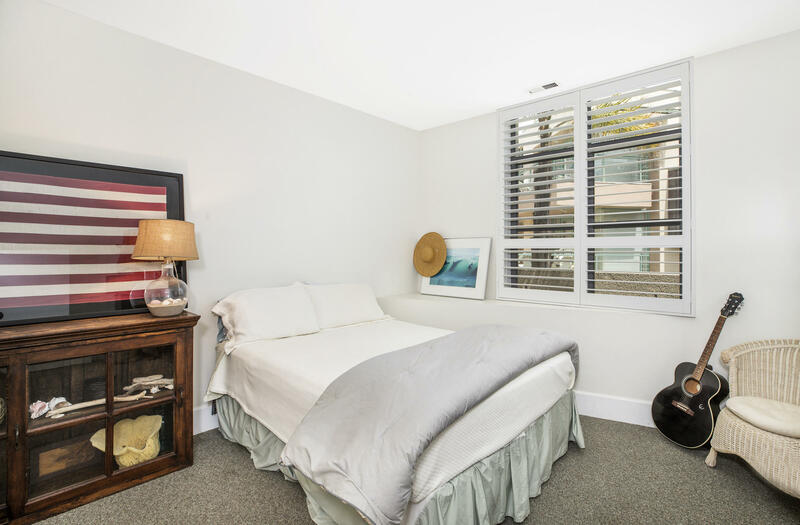 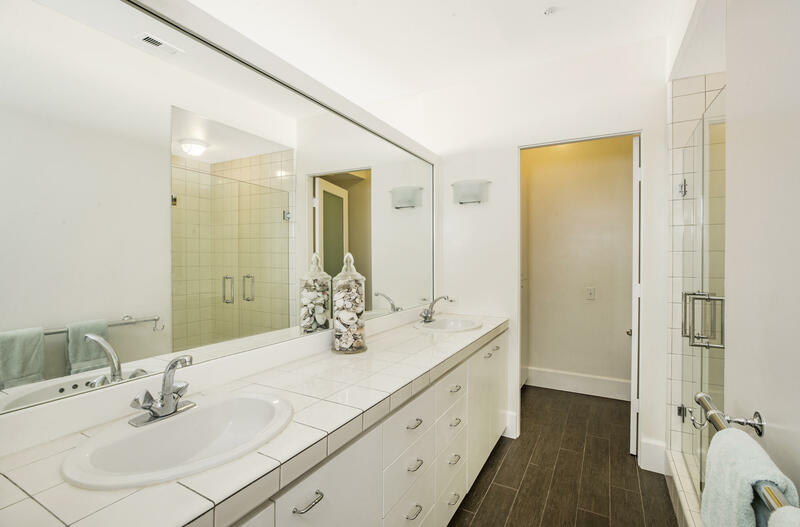 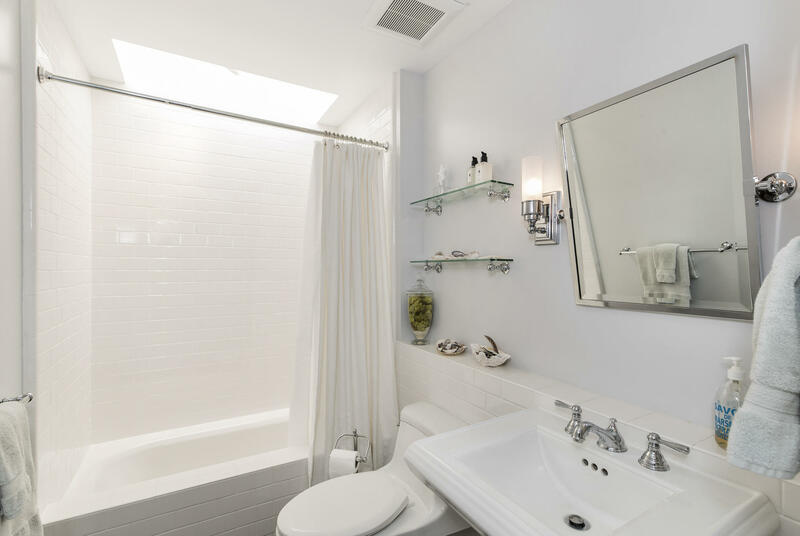 This beautifully renovated three bedroom, 3 bath town home is on the front row with head on whitewater ocean views. 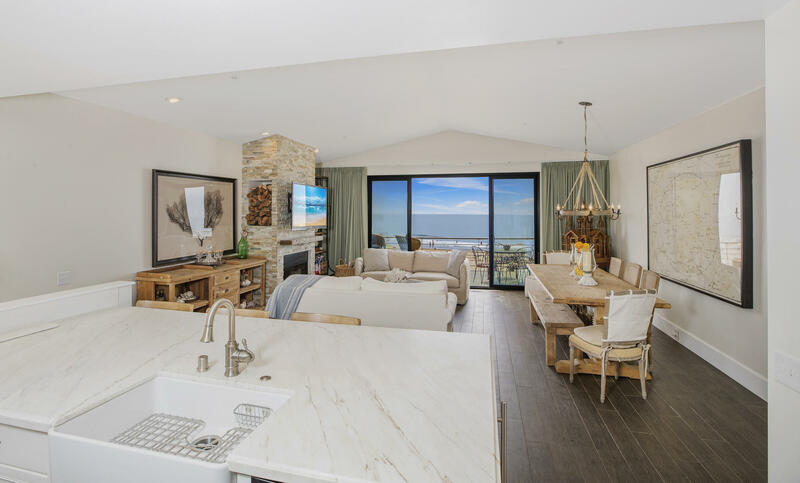 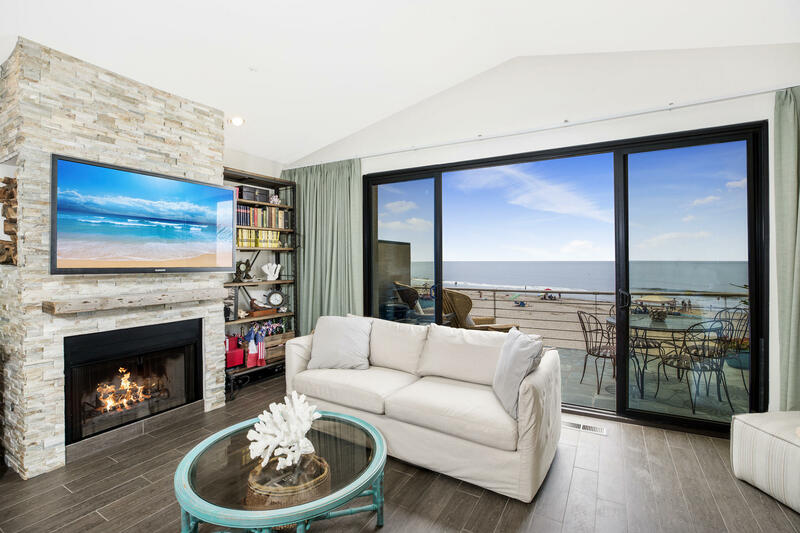 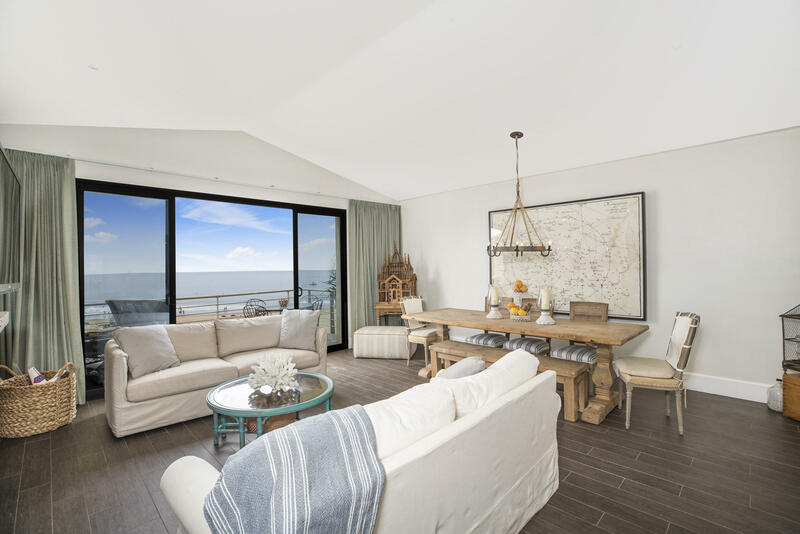 The spacious open floor plan features a gourmet cook's kitchen with marble countertops, Sub Zero and Wolf appliances, and a wide open living room with large glass sliders opening out on to a beachfront deck. 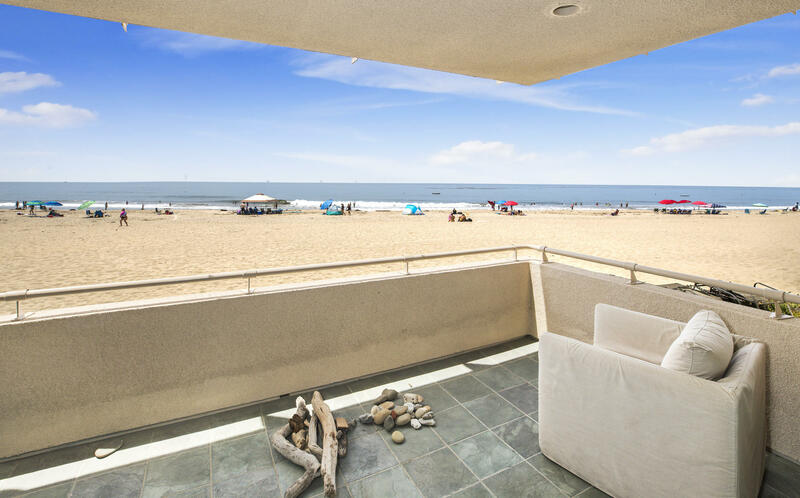 There's an ocean front master suite with spa bath, plus two very comfortable guest bedrooms. 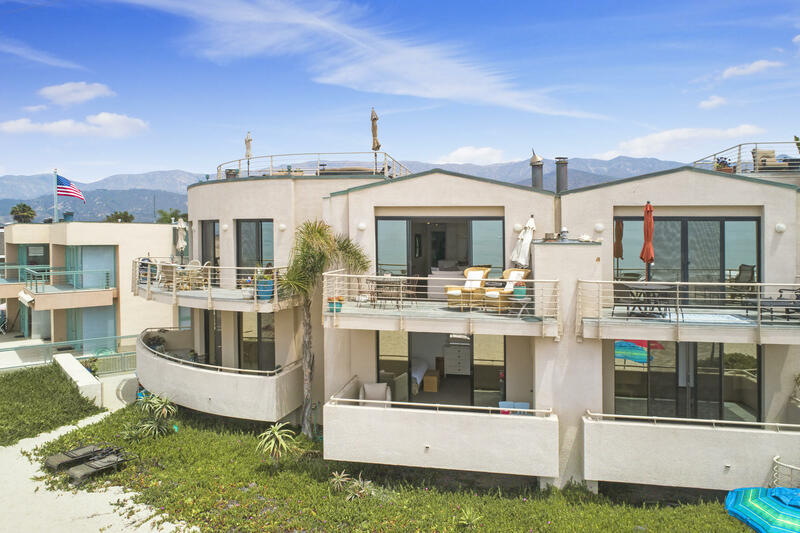 A quick set of steps take you out on to the beach below and you are just a short walk or bike ride to the center of town. 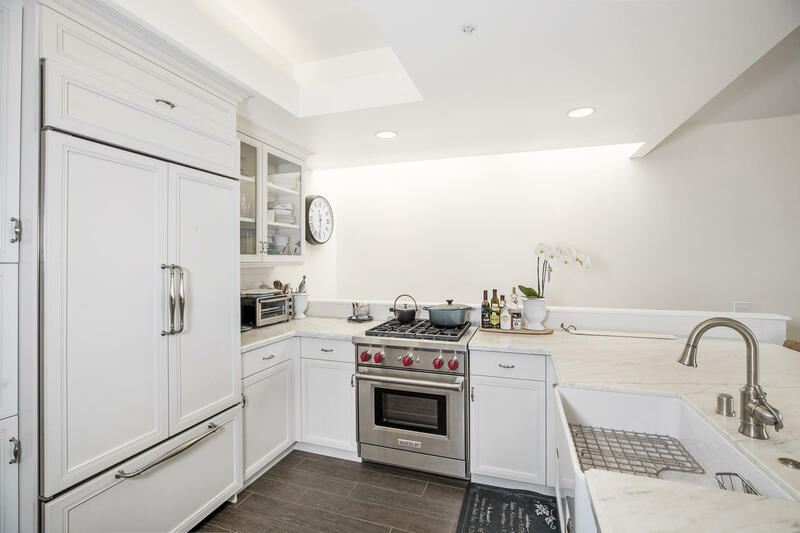 Directions: Linden to Sandyland. 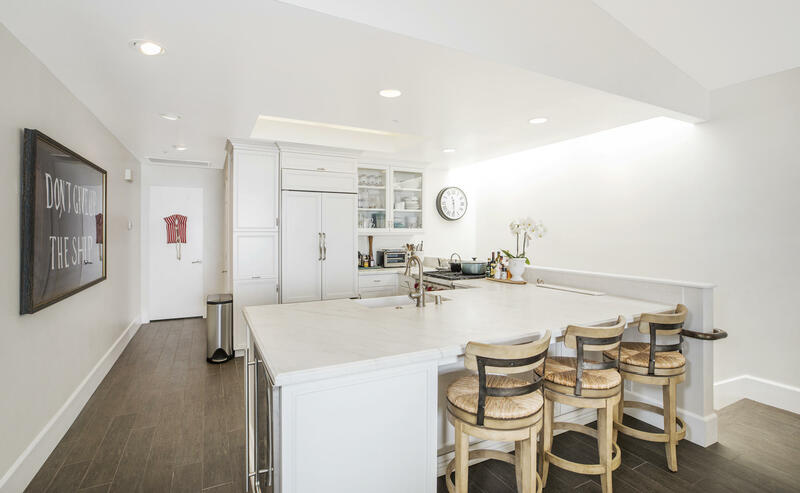 Corner of Elm.